Our company provides complete sportsbook software solutions along with all related services such as UI design, branding, hosting, market data, customer support, risk management. With our service you will be ready to go live within as little as 4 weeks, and until the business starts generating serious revenue you can operate with zero staff on board. Forget the dull, boring and identical UI designs you’ve been seeing out there. We provide unique and customized front-ends that match your business requirements and vision without the traditional hassle of dealing with an agency or hiring your own web design team. We collect information about your preferences and provide you with several custom-tailored proposals that you can choose from. Your website will be beautiful, unique and fully in line with your target audience. iPhone 4 to 6, iPad 2 to Retina, Samsung to HTC and LG, our adaptive and responsive front-end is compatible with whatever your users have in hand and allows them to quickly access their accounts and sporting events of interest. Sure, looks are great, but this is business. Forget the fancy graphics that come with the traditional can’t find and can’t do attitude. In our admin panels whatever you try to do is not farther than 2 inches away, under any context. So you can keep things simple and save on specialized staff, but without micro-managing. From Soccer to TV and Royalty specials, from US tracks, NBA and NFL to the sandy Middle-Eastern soccer fields and all the way to Japan’s high-school minor leagues, we cover all sports, events and types of bets. Learn more about sports betting options we offer. 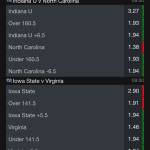 From Match Odds and Moneylines and up to spreads, totals, goals, points and player markets, our sportsbook software comes with readily available data feeds that cater to every possible bet a sporting event of any type can offer. Our sportsbook software comes with support for single straight bets, combinations, teasers, 2 up to 15 fold bets, advanced systems and point purchase options. 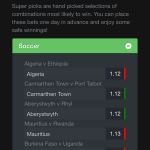 We support 7 odds formats, any locale, any language and character set including UTF-8 character sets for Chinese, Japanese, Persian, Arabic languages and we are currently the first and only provider worldwide to offer RTL support combined with UTF-8 and human translations that enable our sportsbooks to serve clients from virtually any country and culture. We just couldn’t built a sportsbook software platform without including an affiliate program. You will not have to get a 3rd party platform that will cost an arm and a leg, nor have to go through the integration nightmare, on our platform you can turn end-users into money-making affiliates within 30 seconds. Naturally, complete media management, tracking, reporting and stats are already available. On the iDevice as well! Along with our sportsbook software platform we can also provide you with hand-held mobile terminals with on-board GPS, internet, telephone and thermal printer that your agents can use to sell bets and credits on the street, at some special event or simply in their neighborhood pub. We provide complete sports betting solutions for betting shops including desktop POS systems, ticket printers, market viewers, credit card payment terminals, custom branded catalogues and media. Our sportsbook software works with 25+ popular payment gateways including Skrill, Paypal, PaySafeCard, UKash, WebMoney, credit cards, and also provides integrated support for pre-paid credit codes, credit vouchers, SMS micro-payments and Bitcoins. And if there’s a payment method you need and we don’t already provide and you don’t wish to fiddle with our APIs, integration will be free of charge. Our sportsbook software platform runs on top of an award-winning AWS infrastructure designed to scale itself up or down based on demand without wasting resources at night or outside season, while at the same time being able to withstand tremendous amounts of traffic in the magnitude of thousands of concurrent users. All this without you having to buy any server, hire any network or database administrators or lift a finger. Our sportsbook software runs secure in the cloud inside a private AWS EC2 fleet that is permanently monitored by Snort and Nagios, firewalled, behind filtering load balancers and all this behind CloudFlare Pro and Enterprise plans. All sensitive information is protected by 256 bit SSL encryption. Our sportsbook software comes with two API flavors: REST/JSON for client and server side feature development and SOAP/XML for complete control over account and transactions. With either of these you can take bets from your high traffic Facebook or mobile app, betting shop, WordPress blog, you can manage user accounts and increase your sales from your custom CRM or any other type of application, or you can plug in your EMR-enabled reports and build amazing dashboards in a matter of hours. From the moment an end-user lands on our sportsbooks their browsing patterns and betting patterns are analyzed in real time and monitored for abnormalities that help prevent and efficiently manage DoS attacks, payment fraud attempts, arbitrage betting or any other kind of tricks people can try in order to gain an edge. Our ice has been tested with the worst possible traffic from Nigeria and the Middle East. And if the software for some reason can’t make a business decision on its own, our staff monitors every single account, bet and transaction 24 hours a day, 7 days a week, so we can take the dirt out of your business without you having to on your own. Our sportsbook software integrates directly with Twilio, OnVerify and InfoBip for SMS marketing and messaging, Facebook for social interaction, MailChimp, GetResponse, Aweber, ConstantContact for e-mail marketing, SugarCRM and VTiger for customer relationship management, TTX, Vivocha, LiveHelpNow, LivePerson for customer support, Google Analytics and Clicky for traffic analytics and AWS Kinesis for real-time data analysis. From self-regulated jurisdictions of Costa Rica and the Republic of Ireland and up to Curacao and Malta, you can choose a hassle-free and drama-free license that is ready for operation within not more than 3 to 6 months. It takes us on average 2 hours to reply to any customer support request regardless of the time zone you are on. And if something urgent pops up you will never have to speak to a machine, your dedicated account manager will be available to save on a speed dial. Unlike the big fancy brands out there, we understand the concept of a start-up and have a sportsbook software solution ready for every budget. Our most affordable Starter plans come with everything you need to get you started from scratch, and our Professional and Enterprise plans address the most exigent demands of empire builders, all with under EUR 100,000 initial investment. Our revenue shares are zero and there are no other hidden costs, fees or taxes.